We were at the Great Wall in the Badaling Hills area. It was very windy when we started out walking up the wall. Half the group chose the steep section of the climb, the other half chose the steeper section. We all made it to our respective destination points. Paul, walking with us on the steeper side, had his cap blown off his head in the early part of the climb. He just assumed it was lost and pressed on. When we descended and got off the wall we stopped for a beer in one of the little refreshment areas at the base. Not too long thereafter, a man comes up, taps Paul on the shoulder and shows him the cap that had blown off his head. The man smiled and said, "five dollar!" The short story is Paul bought back his own cap for three dollars and we all thought it was hilarious. As Paul said, it was a free cap to begin with but who could pass up completing the story for three dollars. We all marveled that the man found the cap, knew who lost it, found him at the base, and made the deal. On those windy days when hats and caps need a little extra security, we'll all remember The Great Wall of China and the three dollar cap. 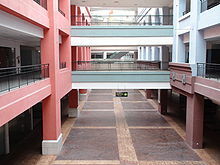 The World's Largest Shopping Mall is a ghost town. In 2005 a Chinese billionaire began to build a 7 million sq. 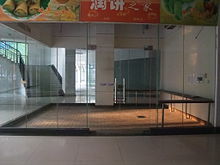 ft. shopping mall in Dongguan, China. The South China Mall has room for up to 2,350 shops, with a full size roller coaster, 1.3 miles of canals and gondolas, and a 82 ft replica of the Arc de Triomphe. Since 2005 until the present, only about one percent of the mall has ever been used - ever. The other 6.930,300 sq. ft. is under cloth covers. The only workers are security guards who keep squatters away.